Most Australians should be applying sunscreen every single morning under new guidelines backed by the nation's skin safety authorities. Australians should be slapping on sunscreen every day under new guidelines aimed at cutting the nation's skin cancer rates. The new policy is a step up from the old advice, which recommended people use sunscreen when planning to spend time outside. But sun safety authorities now say that's insufficient to guard against DNA damage caused by repeated, small doses of sunlight like you might get hanging out the washing. The new consensus is that the vast majority of Australians need to treat sunscreen application as an essential part of their morning routine, like brushing teeth. The change follows a national summit last year, which examined the latest evidence about sunscreen use. 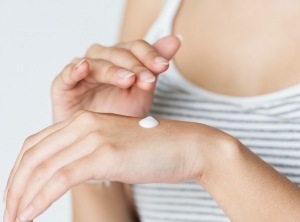 The new advice, published in the Australian and New Zealand Journal of Public Health, says Aussies should use sunscreen every day when the maximum UV level is forecast to be three or higher. For much of Australia, that means people should apply sunscreen all year round, with the exception of places like Tasmania and Victoria there are a few months over winter when sunscreen is not required. Cancer Council prevention advisor Craig Sinclair says fewer Australians should develop skin cancer if they follow the new advice. And he says Australians must get over some myths about sunscreen. "Worryingly, research from Cancer Council's National Sun Protection Survey showed that nearly one in two Australians mistakenly believe that sunscreen can't be used safely on a daily basis," he said in a statement. "The advice is now simple: make sunscreen part of your morning routine, just like brushing your teeth."